The album that started it all. 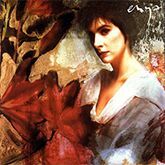 ‘Watermark,’ first released on 19 September 1988, sold millions of copies and introduced Enya worldwide. 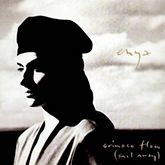 Its lead single ‘Orinoco Flow,’ also known as ‘Sail Away,’ went on to become a UK number one hit. 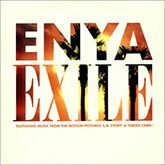 The cover of the album is a picture of Enya with layers of imagery hand-painted on it. The black and white booklet is very simplistic and contains no liner notes or translations of the Gaelic and Latin songs. The cover image was done by David Hiscook, additional photography was shot by Russel Yamy. Lyrics in the booklet were hand-lettered by Lawrence Dunmore who also created what would become the “enya” logo. and ‘Exile’ features scenes from the ‘L.A. Story’ movie. 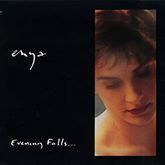 Enya promoted the album extensively for more than a year in Europe, America, Australia and Asia. The album was officiallly launched on 14 September 1988 at the Serpentine Gallery in London. 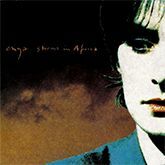 Some countries, notably the US, include ‘Storms in Africa (Part II)’ as the twelfth track. Indeed, the subtlety that characterizes her work at her best dominates Watermark, with the lovely title track, her multi-tracked voice gently swooping among the lead piano, and strings like a softly haunting ghost, as fine an example as any. “Orinoco Flow” itself, for all its implicit dramatics, gently charges instead of piling things on, while the organ-led “On Your Shore” feels like a hushed church piece.